Sun - 370-2200 SUN - 7/14GB 8MM INTERNAL SCSI TAPE DRIVE (370-2200). IN STOCK. SAME DAY SHIPPING. 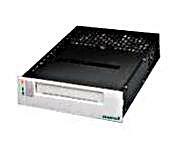 Exabyte - 8505XL EXABYTE/TANDBERG - 7/14GB 8MM SCSI/SE INTERNAL HH TAPE DRIVE (8505XL). IN STOCK. SAME DAY SHIPPING. 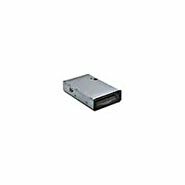 Sun - 370-2881 SUN - 7/14GB 8MM SCSI/SE INTERNAL TAPE DRIVE (370-2881). IN STOCK. SHIP SAME DAY. Sony - 370-2882 SUN - 7/14GB 8MM SCSI/SE INTERNAL TAPE DRIVE (370-2882). IN STOCK. SHIP SAME DAY. 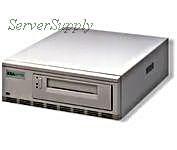 Exabyte - 8505XLS EXABYTE/TANDBERG - 7/14GB 8MM SCSI/SE INTERNAL HH TAPE DRIVE (8505XLS). IN STOCK. SHIP SAME DAY. Exabyte - EXB-8705 EXABYTE/TANDBERG - 7/14GB 8MM ELIANT 820 SCSI/SE INTERNAL TAPE DRIVE (EXB-8705). REFURBISHED. IN STOCK. SHIP SAME DAY. 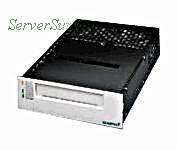 Exabyte - 870013-025 EXABYTE/TANDBERG - 7/14GB 8MM 8505XL SCSI/SE INTERNAL HH TAPE DRIVE (870013-025). IN STOCK. SHIP SAME DAY. Sun - 599-2147-01 SUN - 7/14GB 8MM ELIANT 820 SCSI/SE EXTERNAL HH TAPE DRIVE (599-2147-01). IN STOCK. SHIP SAME DAY. Sun - 3702881-04 SUN - 7/14GB 8MM INTERNAL ELIANT 820 SCSI SINGLE ENDED TAPE DRIVE (3702881-04). IN STOCK. SHIP SAME DAY. 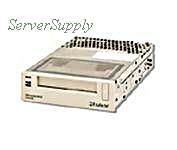 Exabyte - 870013-309 EXABYTE/TANDBERG - 7/14GB 8MM SCSI/SE INTERNAL HH TAPE DRIVE (870013-309). IN STOCK. SAME DAY SHIPPING. 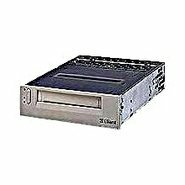 Exabyte - 270001-9 EXABYTE/TANDBERG - ELIANT 820 7/14GB 8MM SCSI/SE INTERNAL TAPE DRIVE (270001-9). IN STOCK. SHIP SAME DAY. Sun - 599-2035-02 SUN - 8MM 7/14GB SCSI/SE EXT TAPE DRIVE (599-2035-02). IN STOCK. SAME DAY SHIPPING. Exabyte - 270001-983 EXABYTE/TANDBERG - 7/14GB 8MM EL820 SCSI/SE INTERNAL HH TAPE DRIVE (270001-983). IN STOCK. SHIP SAME DAY. IBM - 16G8566 IBM - 7/14GB 8MM SCSI/SE INTERNAL HH TAPE DRIVE (16G8566). REFURBISHED. IN STOCK. SHIP SAME DAY. Sun - SG-XTAP8MM-010A SUN - 7/14GB 8MM EXTERNAL SCSI/SE TAPE DRIVE (SG-XTAP8MM-010A). IN STOCK. SHIP SAME DAY. Exabyte - 270001-26 EXABYTE/TANDBERG - 7/14GB 8MM ELIANT 820 SCSI/SE INTERNAL HH TAPE DRIVE (270001-26). IN STOCK. SHIP SAME DAY. 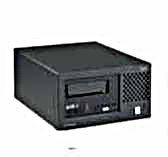 Sun - 370-1881 SUN - 7/14GB 8MM INTERNAL SCSI TAPE DRIVE (370-1881). IN STOCK. SHIP SAME DAY. 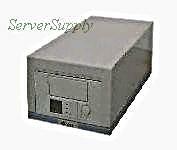 Exabyte - 270001-27 EXABYTE/TANDBERG - 7/14GB 8MM ELIANT 820 SCSI/SE INTERNAL HH TAPE DRIVE (270001-27). IN STOCK. SAME DAY SHIPPING. Exabyte - 8505XLE EXABYTE/TANDBERG - 7/14GB 8MM SCSI/SE EXTERNAL TAPE DRIVE (8505XLE). IN STOCK. SAME DAY SHIPMENT. 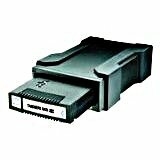 Exabyte - 270001-201 EXABYTE/TANDBERG - 8MM 7/14GB ELIANT 820 SE/SCSI INTERNAL TAPE DRIVE (270001-201). IN STOCK. SAME DAY SHIPPING.